New “Care Notes” are now available in a rack on the right wall near the Sanctuary entrance. 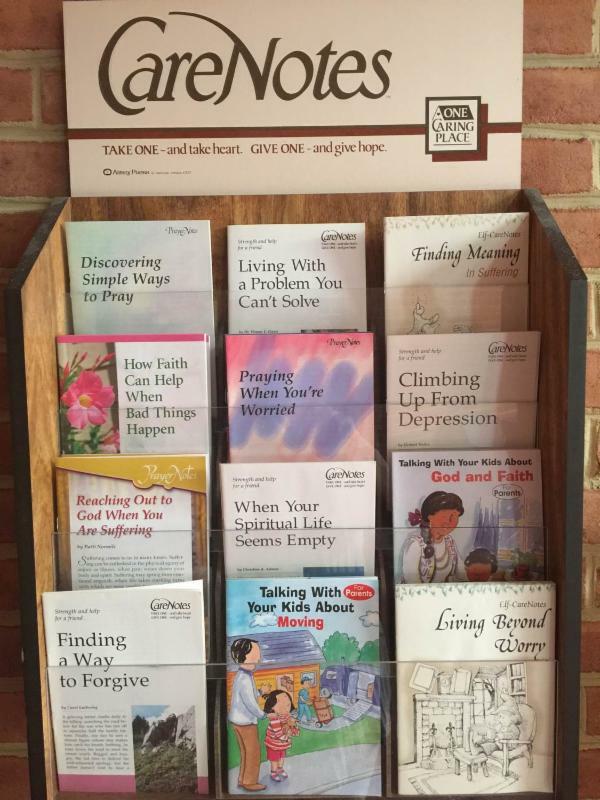 These 8-page booklets offer spiritual encouragement, help and hope. These Care Notes are for you and others you know who might receive help from them.